As anyone who's been a fan of the Kombat Pavilion for a while knows, this site fully supports Dark Maze Studios and their hilarious video game movie, Press Start. 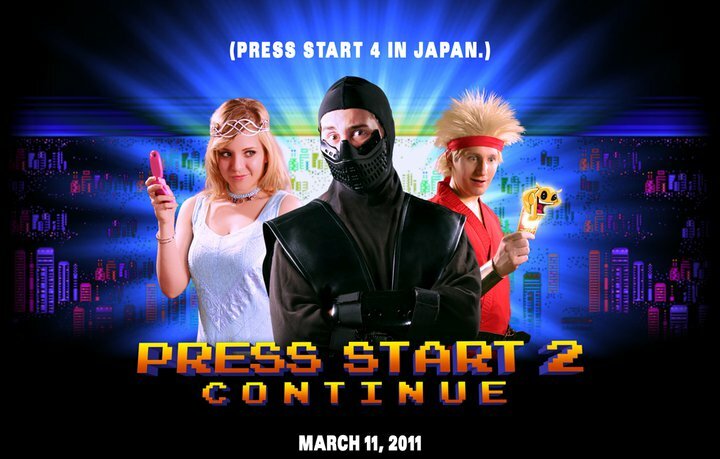 Today, the sequel, Press Start 2 Continue is available for order on DVD. If you haven't seen the original yet, it is recommended you pick both of them up. Besides the appearance of a Sub-Zero-like ninja assassin named Lin-Ku, the appearance of Daniel and Carlos Pesina in the first film (who played Johnny Cage, the palette-swapped ninjas, and the thunder god Raiden in the early Mortal Kombat games), there are numerous other MK references to justify such a purchase. Also, check out the trailer for Press Start 2 Continue as well!